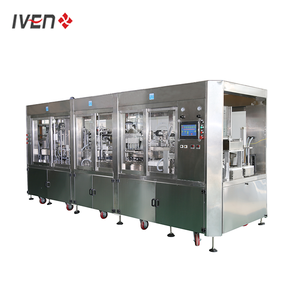 Disposable vacuum blood collection tube production line Specification: Name Disposable vacuum blood collection tube production line Tube Material PET material Cap Color Red,Black,Purple,Yellow,Blue,Green,Grey Tube Size 13*75mm,13*100mm,16*110mm,8*120mm Draw Volume 1ml-10ml Sterile EO gas sterile Certificate CE&ISO13485 MOQ 60,000 pcs Supply Ability 300,000 pcs per day Payment Term T/T FOBShanghai Description: &bull; Vacuum blood collection tubes are applicable to the clinical blood test and suitable for the blood cells analysis. &bull; The internal walls of the tubes are coated with different additives designed to stabilize and preserve the specimen prior to analytical testing. &bull; Produce disposable medical instrument and health care protective products &bull; Can supply five hundred million pieces of products annually &bull; Has obtained ISO 13485 and CE Certificate granted by TUV Product Service Gmbh &bull; Over 80% of our products are exported to more than 100 countries and regions including disposable medical instruments,disposable syringes, infusion sets, vaginal speculums, medical tubes, infusion bags, urine bags and so on Factory Pictures: Certificate: For More Information, please visit our website. Factory sell dialysis blood lines, Gambro hemodialysis blood lines, B. Braun,Toray,Baxter,Nipro,JMS,Bellco Packaging & Delivery Packaging Details: BLISTER ,PE and bulk Delivery Detail: 24days Hemodialysis Blood Tube / Hemodialysis Blood Line Factory sell dialysis blood lines, Gambro hemodialysis blood lines, B. Bruan hemodialysis blood lines Shipping Information 1.Professional: With Professional engineers & technicians & sale team, Now are being leading exporter and distributor from China of medical devices for global customers. 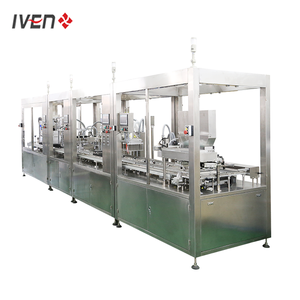 ONE-STEP SERVIEC TURN KEY SOLUTION This Vacuum Blood Collection Tubes combined machine( cap-sealing-press gasket-load tray rack) is auto machine to concentrated in Vacuum Blood Collection Tubes from add medicine\add spray \dry\carrying cap\sealing cap\drawoff air\press gasket\take off tube\load tray rack etc. 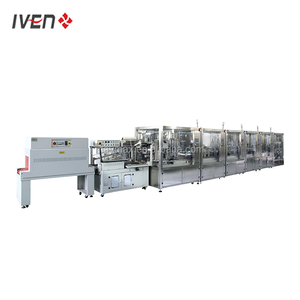 1.The production capacity: 12000 pieces/ hour for empty tubes; 2. The adoptable specifications:&Phi;12-&Phi;13mm; 75-100mm in length 3.Ozone sterlization on processing period. Alibaba.com offers 4,954 blood line products. About 6% of these are injection & puncture instrument, 1% are transfusion apparatus, and 1% are plastic extruders. A wide variety of blood line options are available to you, such as free samples, paid samples. There are 4,930 blood line suppliers, mainly located in Asia. The top supplying countries are China (Mainland), India, and South Korea, which supply 98%, 1%, and 1% of blood line respectively. 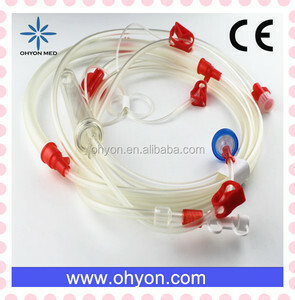 Blood line products are most popular in Domestic Market, Western Europe, and North America. You can ensure product safety by selecting from certified suppliers, including 2,222 with Other, 1,605 with ISO13485, and 1,166 with ISO9001 certification.